Director James Gunn released a "sneak peek" trailer for his follow-up to the breakout Marvel success of 2014 in Guardians of the Galaxy just over a month ago although I hesitate to call what we saw only a sneak peek as it ran over two minutes and gave us a look at each of our favorite characters and what they're seemingly up to these days. That said, it was clear this wasn't the last we'd see/hear from the Guardians prior to the end of the year with Disney rolling out Rogue One in less than two weeks. With Guardians of the Galaxy Vol. 2 kicking off the summer of 2017 in that first weekend of May slot that Marvel has now dominated for the past six years save for 2014 when Winter Soldier opened the first weekend in April (due to The Amazing Spider-Man 2 claiming the opening weekend that year) you can bet Marvel and Kevin Feige are intent on getting the hype started as soon as possible. Given the trailer Gunn and his team have put together one can bet it will do just that. While some of what we see here in the full-length trailer is more or less the same as what we saw in that aforementioned "sneak peek" we get the added reassurance that if nothing else, this sequel will be really funny and feature some great banter between the core members of the team. There is no revealing of any previously unknown story elements and we don't see any footage of new additions Ayesha (Elizabeth Debicki) or Ego (Kurt Russell) though we do get our first look at Mantis, a former member of the Avengers in the comics, played here by Pom Klementieff. Still, this trailer is as promising as one could have hoped if you enjoyed the tone and humor of the first. Proving more of the same isn't always a bad thing here's to the hope that train of thought is only to ease us into the sequel with the actual movie offering something slightly different from our first experience with the team. 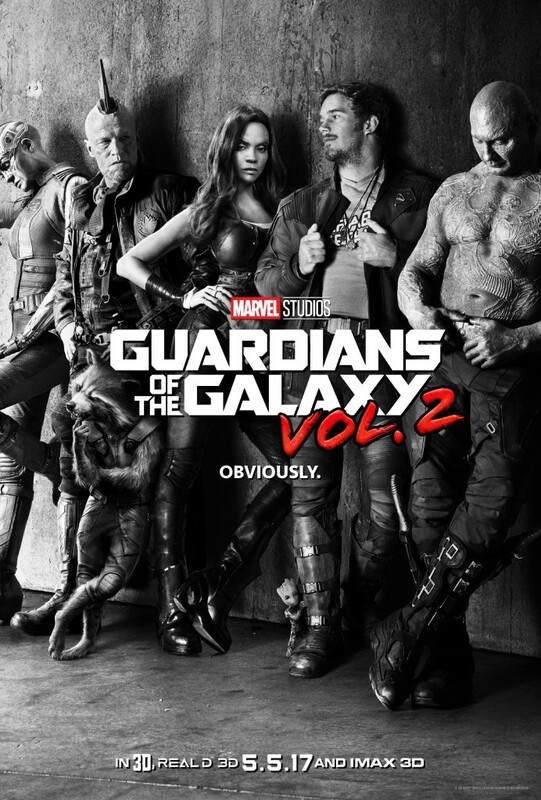 Guardians of the Galaxy Vol.2 also stars Chris Pratt, Zoe Zaldana, Dave Bautista, Bradley Cooper, Vin Diesel, Karen Gillian, Michael Rooker, Glenn Close, and opens on May 5th, 2017. Synopsis: Set to the backdrop of 'Awesome Mixtape #2,' Marvel's Guardians of the Galaxy Vol. 2 continues the team's adventures as they traverse the outer reaches of the cosmos. The Guardians must fight to keep their newfound family together as they unravel the mysteries of Peter Quill's true parentage. Old foes become new allies and fan-favorite characters from the classic comics will come to our heroes' aid as the Marvel cinematic universe continues to expand.